Tuesday Toddler Toys – A Healthy Dose of…. We have been home this summer exploring all sorts of new toys as a family! Lola has a few favorites right now and I wanted to share them. 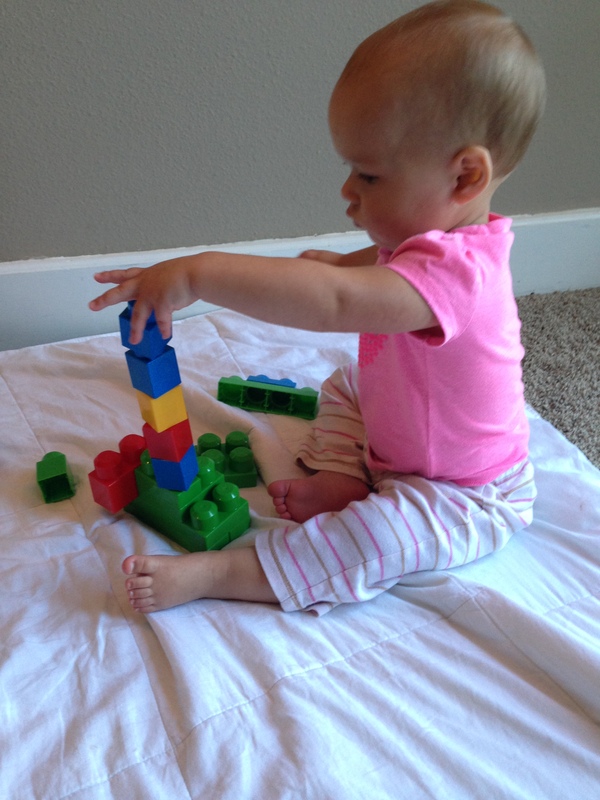 Legos- She has just recently begun building with these Mega Bloks Legos. We have had these Legos forever but she has only ever destroyed our “creations” before. Beginning last week we began learning how to BUILD with the legos. I would make a strong base for the Legos & then she would add single pieces to the top. She focused on this task for about 15 minutes!!! Wahooo! Our next step is a Lego tabletop for her to work on. I think she would really enjoy it. I have my eye on this Mega Blok Play & Go Table. 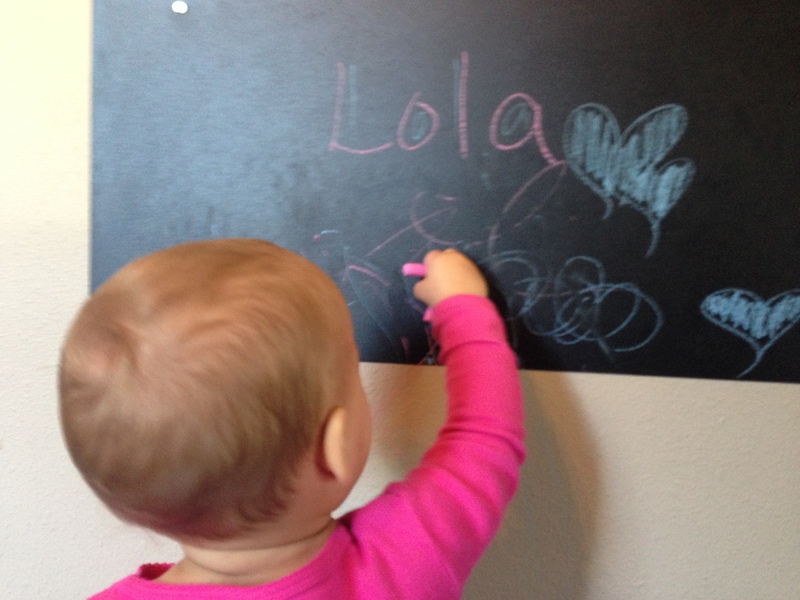 We have a metal walk chalk board that we used for another purpose but it is perfect in her play room. Here is an adorable table top chalk board but you could also make one with chalk board paint very cheaply. The table top would be great if the easel might be too tall for your little. 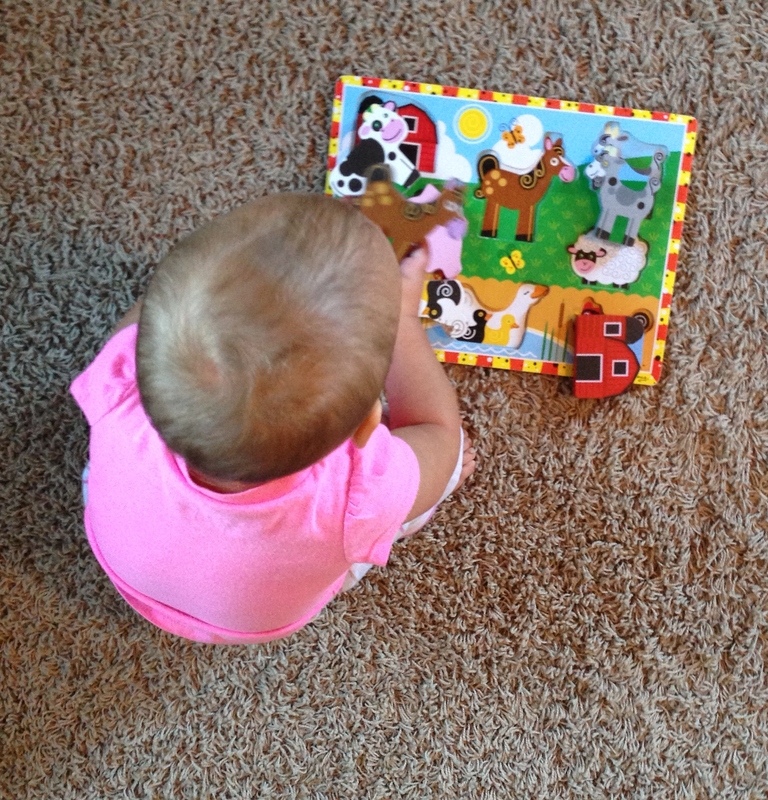 Puzzles- Lola LOVES this Melissa & Doug Farm Puzzle. The pieces are large and chunky for little fingers. The farm animals are very relevant to things she has been learning recently. 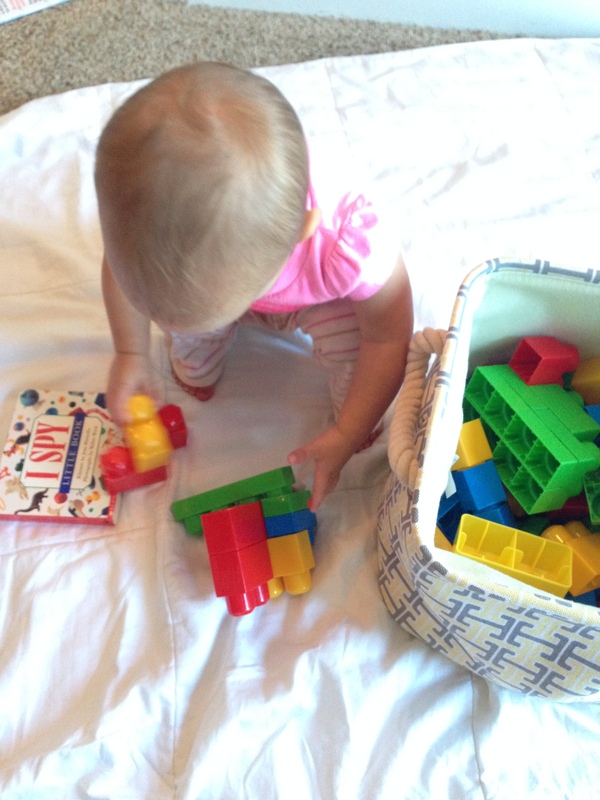 Melissa & Doug materials are wonderful quality for wear & tear of little toddlers. I have had my eye on these 3 Chunky Puzzles for Lola (Pets, Construction & Dress Up) . Believe that I am thinking about Christmas list and ideas!!! I absolutely LOVE planning for the Holidays! I love finding new, fun, and challenging activities and toys for Lola. What are your littles LOVING right now? We love the chalk board. I recently also setup a painting basket on the patio since painting is one of our favorite activities. That sounds like fun!!! My little hasn’t painted YET but she will love it when she does!!! I love the chalk board idea! My daughter isn’t super into drawing/coloring right now, mostly she just wants to count the crayons/markers and put them back in the box. The Melissa and Doug puzzles are our FAVORITE! My daughter is obsessed with anything Mickey/Minnie Mouse and she LOVES the puzzles so much! Right now we will ask her the names of the characters and the colors they are wearing before she puts them back on the puzzle. Another great puzzle we got is from a site called fatbrains. My husband got her a chunky interactive alphabet puzzle and she is learning so much! The site is amazing and has so many learning toys! Having a toddler is so much fun and getting ideas from other awesome mamas is so helpful!